Day 3 of Body Beast is coming to a close and I am whimpering as I type this. I haven’t been this sore in ages and I am fairly fit! 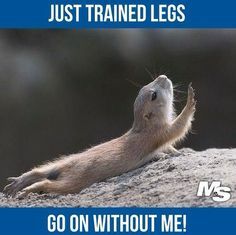 I had been doing 21 Day Fix Extreme, I LOVE Plyometrics, yet I am still crying the day after leg day. So that means that I am doing something right. Right? As I whine and whimper, my husband reminds me that the first week is the hardest, that I am tearing down and rebuilding muscle, and it will get less painful. Not pain-free mind you, less painful. As for the nutrition side of things, I am freaked out about eating 1996 calories, 50% of them carbs. I had no idea that it would be this hard to eat so many carbs after YEARS of carb deprivation. But I committed and I will see it through or else I will just end up a fatter, marshmallow from eating so much in Build/ Bulk. 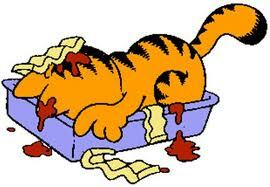 You cannot do the carb loading without the depletion that comes in phase 3. I am so very thankful for the Facebook Groups that I scroll all day for encouragement and for a trainer with such heart in Sagi. I couldn’t do this without the group support. As a Beachbody Coach, you would think that I wouldn’t be shocked about how much I rely on group support. As a facilitator, you get comfortable allaying other people’s fears about starting something new that you have already been through. It is all familiar and you guide others through with confidence. This is a whole new depth for me and it makes me FEEL exactly what my challengers feel and how much trust they have to place in me to take the first step. Just another way that this is a gift for me. 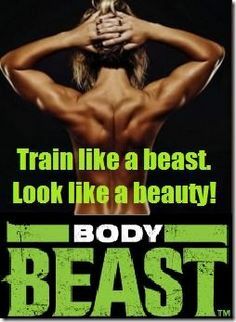 Please comment below your words of advice/encouragement if you have done Beast before, follow me if you want to see the good , the bad & the ugly of my first time around with Body Beast or message me if you think you would like to join me in this Challenge- I would love the company! Categories: Beachbody Challenge, Body Beast | Tags: 21 Day Fix Extreme, Body Beast, Body Beast for women, carb loading, Clean Eating, Coach, fitness challenge group, leg day, over 40 fitness, sagi kalev, strength training, strong women, Weight Loss, weight training | Permalink.